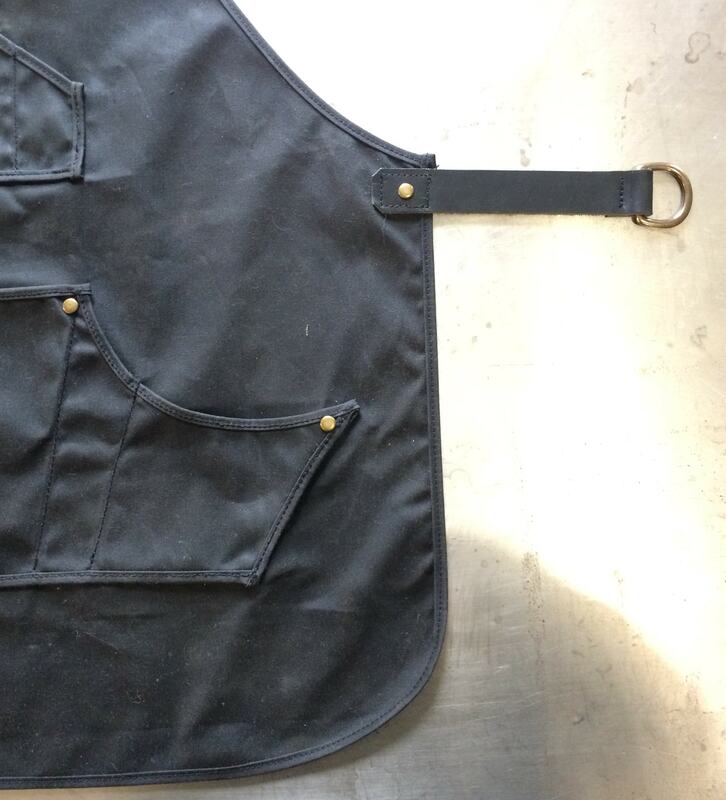 The Porter Cycles Shop Apron is designed based on decades of work shop experience, and is built to last. 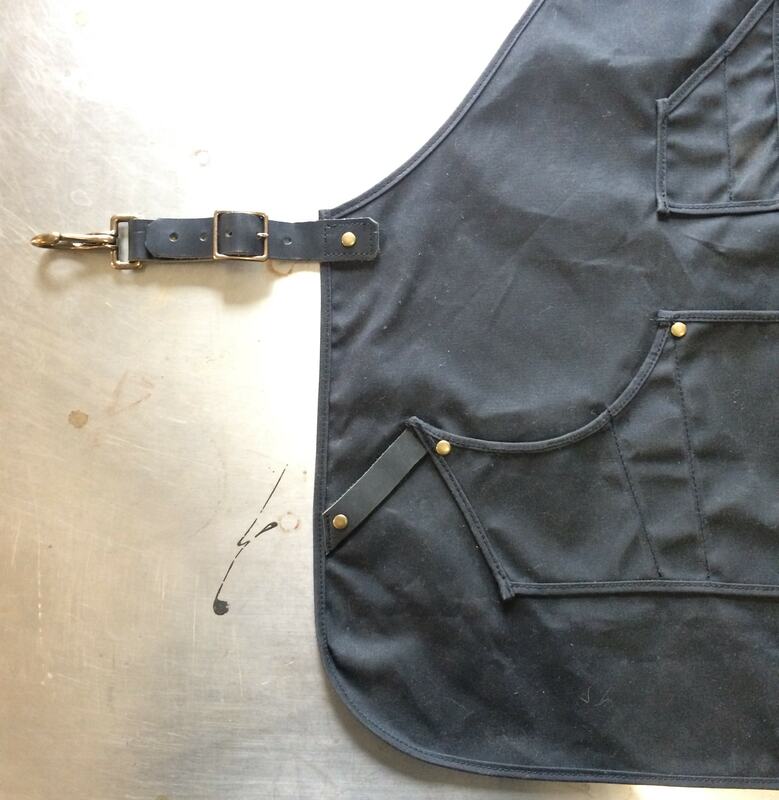 The Porter Cycles Shop Apron is based on decades of work shop experience and is built to last much longer. Every portion and angle is carefully arranged to offer the best fit for a variety of body shapes as well as the tools it can carry. 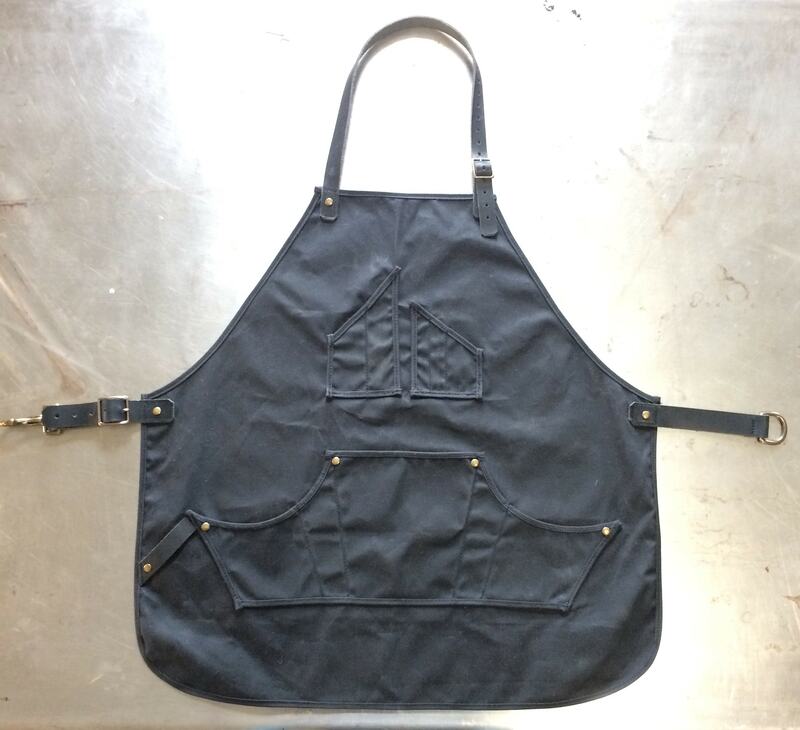 Designed by a machinist and metal worker, this apron will prove itself useful in any craft or trade. 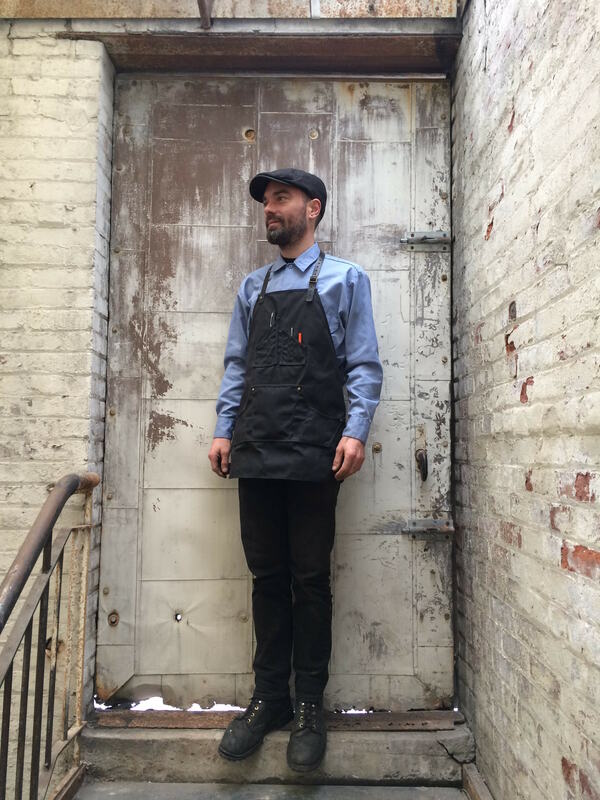 Sturdy but light weight (335g/.75lbs), the apron is made with waxed canvas panel and edging, genuine leather belting, with solid brass hardware and rivets. The waist and neck line are adjustable with an easy release waist clasp. Conceived and designed by Porter Cycles, LLC and constructed by StecLee Stitches here in Brooklyn, New York.